The most basic problem in the construction of the micro total analysis systems (mTAS) is the creation of microchannels. First structures were based on the use of silicon wafers which were etched to form a microchannel. Such a microchannel was sealed with a glass plate by means of anodic bonding. Currently many devices are manufactured from polymer materials like polydimethylsiloxane (PDMS). The microchannels can be obtained by laser ablation or traditional photolithography. Having created a channel in a PDMS substrate, it can be sealed with a glass, a PMMA or a PDMS plate by means of oxygen plasma treatment. Any plasma generating system can be used however these ones utilized in semiconductor laboratories have some limitations concerning experiments with different materials (e.g. operation of sealing a channel with an ordinary glass can introduce some impurities to the installation which then could be dangerous for semiconductor process). So the best way is to prepare a special plasma system just only for polymer or glass materials. This is a story of our plasma system. Once upon a time... But this is not a fairytale, this is rather a nightmare which we faced with the installation of plasma system supplied by Kurt J. Lesker (USA). It is called: PlasmaPreen - Plasma Cleaner/Etcher. 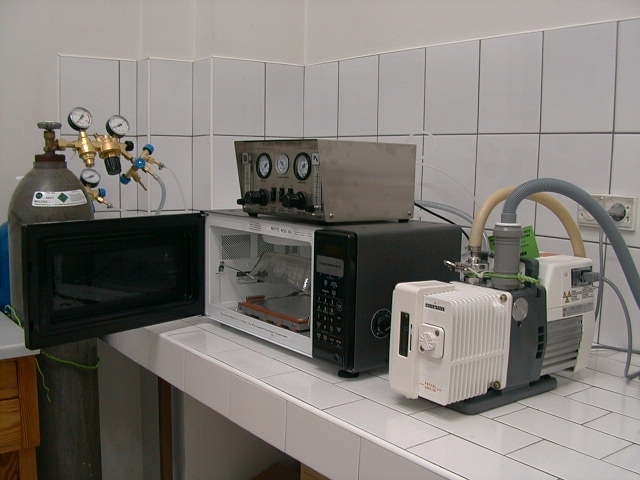 Below is an extract from the manufacture's web page: "Plasma-Preen units are low-cost plasma etchers for cleaning small- to medium-sized objects, primarily in an R&D environment. 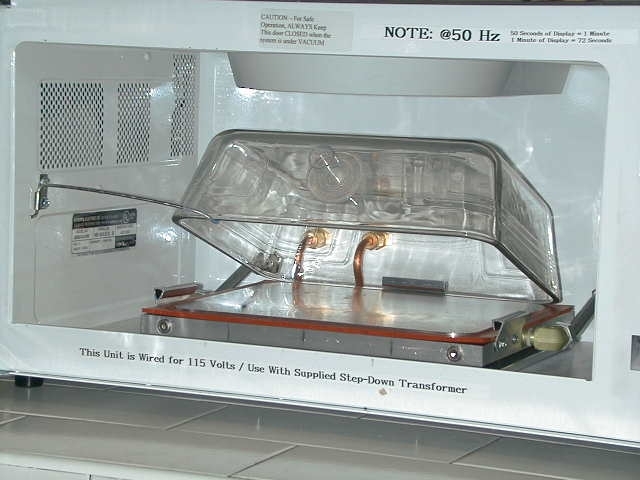 The manufacturer, Plasmatic Systems Inc. has taken a unique approach, using a commercial microwave oven to create the plasma. The vacuum volume in which the plasma is created and objects etched mounts inside the oven. 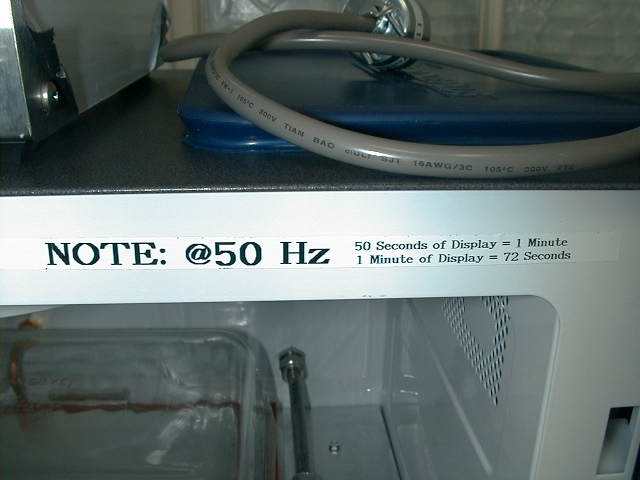 The standard (2.45GHz) microwave cavity, original circuitry, and power/timer features of the original oven are retained, making the Plasma-Preen etcher: highly robust; moderately priced; easy to operate; very low maintenance; and quite safe". We have bought a model: Plasma Preen II No. 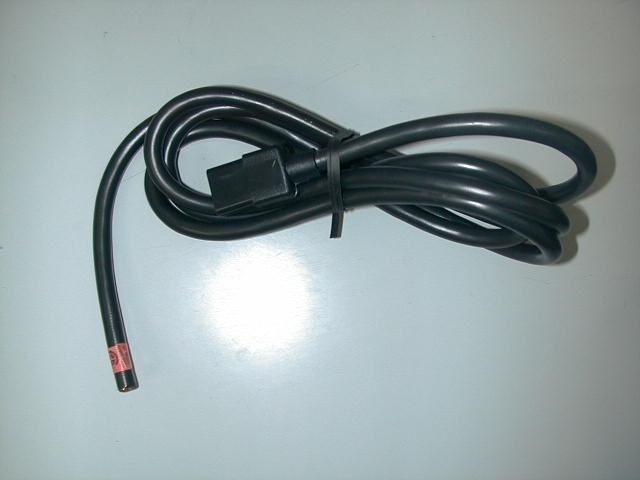 973 for 220 V AC/50 Hz, and this was the beginning of our nightmare. Below there are some pictures of the equipment delivered. It is well known fact that if a clock is powered from the frequency of the mains its readings should be recalculated (unfortunately Kurt J.Lesker did not include a calculator in the set). The whole system reminds rather a DIY (do it yourself) kit than scientific equipment (note: there were no plugs in the set, it seems that this is a standard for Kurt J.Lesker). 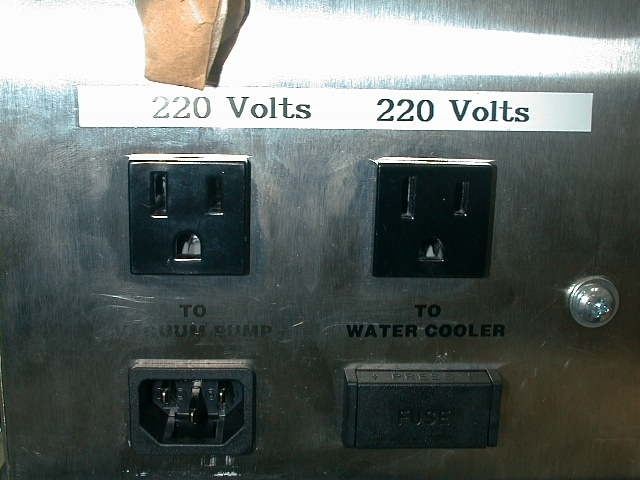 Please note: the left most outlet originally has label TO VACUUM PUMP but it was wiped out. 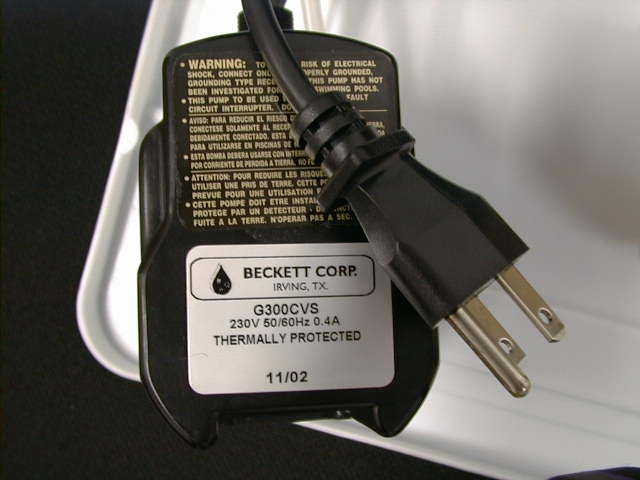 Moreover, these American outlets are to be used with 220 V equipment. 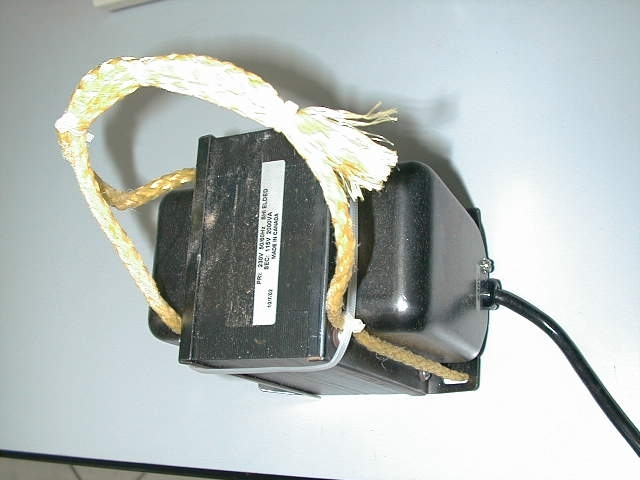 This is a realy good picture for students of Faculty of Electronics or Faculty of Electrical Engineering at any country: a device originally designed for 230 V but with an American plug to be compatible with the gas controller outlet. 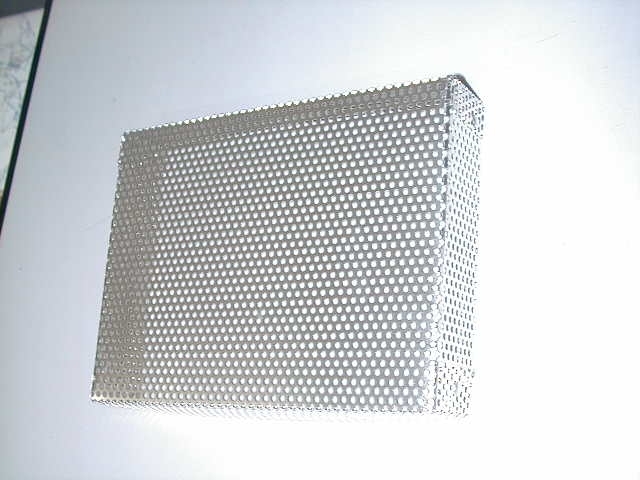 This part of a perforated aluminum sheet (total area not exceeding A4 format) costs over 100 USD. 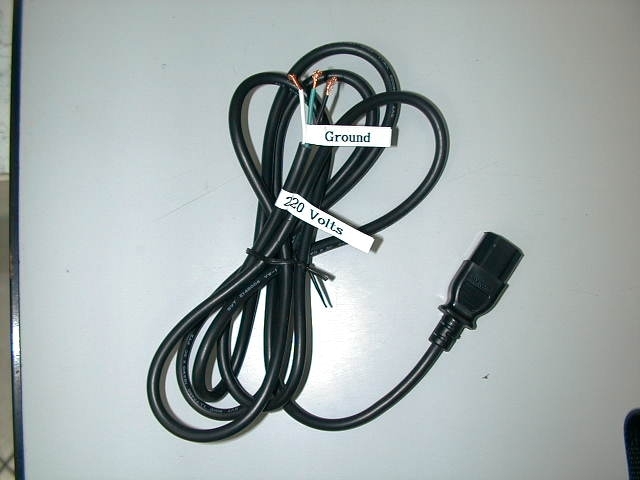 Having completed all plugs, power cords etc. you can start your installation, but you must be good at puzzles - the plasma preen is like puzzles with unknown final picture. After many e-mails with Kurt J.Lesker we have managed to complete the whole system. The most challenging job was the understanding of the user manual. 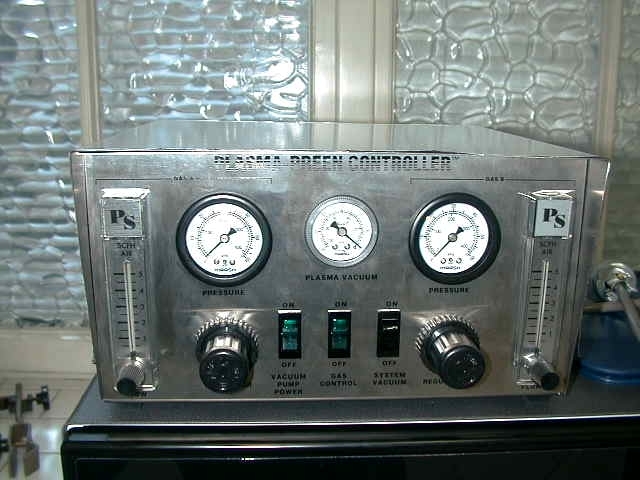 For many weeks the plasma preen could only be used as it was originally manufactured i.e. for cooking. The style and the precision of the user manual is far away the standards of scientific equipment. Kurt J.Lesker did not provide the list of all parts which should be in the set. When we started the installation it turned out that some parts were missing. Finally, thanks to very useful suggestions of a colleague from Slovak Republic who also bought such a system, we obtained the plasma generation. This web page was created by Artur Dybko. The goal of its creation was to publish our experience which we faced dealing with Kurt J.Lesker. As they stated on page 2 of their user manual: "we are now the proud owner of a PLASMA-PREEN system". 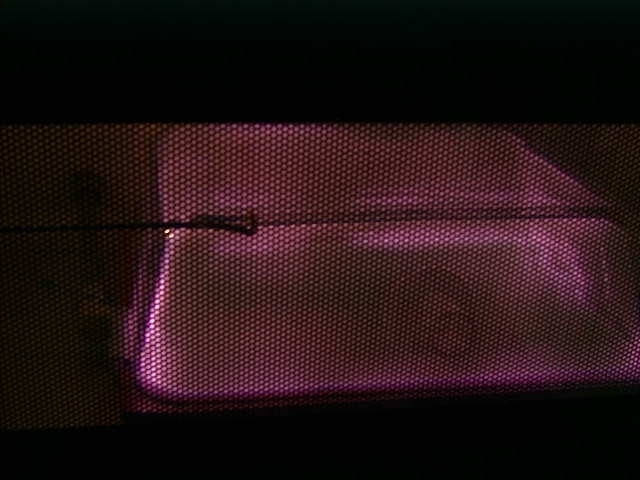 There was a great day when we saw the plasma inside the oven. I wish all the best the future customers of Kurt J.Lesker. Good luck - you will need it. The page is not for commercial use. 16 May 2005: We have been using the plasma preen system for over one year. Recently we have noticed that there is a problem with plasma generation and there is something wrong with a power regulator (it becomes hot). 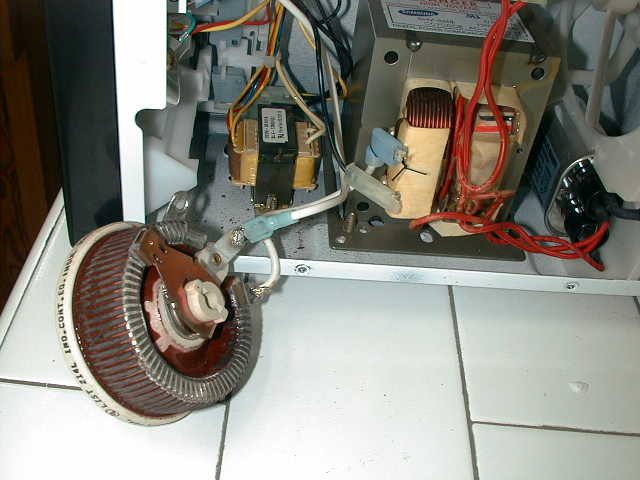 We discovered that the microwave power regulation is based on an ordinary wire potentiometer (see picture below), which after that time of usage needs to be replaced. In fact this is the easiest way to limit the current powering the microwave generator but more efficient circuit could be based on triac. 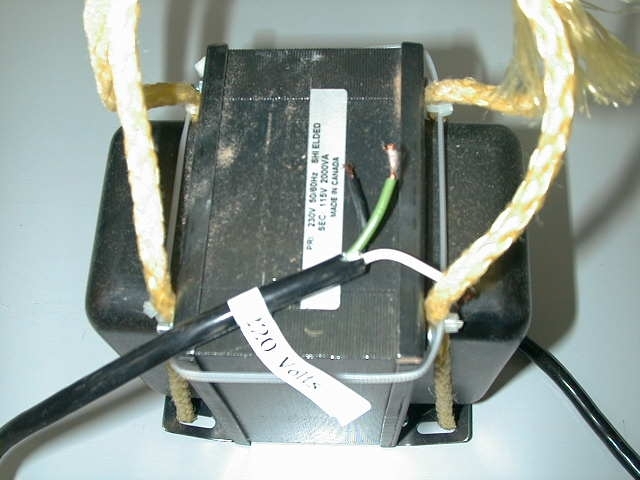 It is obvious that designer from Kurt J. Lesker do not know such a complicated electronic part as triac.